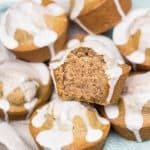 These easy made from scratch Cinnamon Muffins with Glaze will be a great breakfast idea, to-go snack, or a perfect holiday dessert. This is the first week that we finally have real Fall weather, with gusty winds and rain. Though it was surprisingly warm for the most part of the September and October, now, “Winter is coming”! It is time to get ready for the holiday season and our favorite comfort food, snuggled up in warm flannel pajamas with a cup of hot tea or coffee. So, this week I started to make my classic fall recipes to keep us warm, like my favorite meatballs with rice (Tefteli) and beef stew (I need to share this recipe with you!). If you may have noticed, my baking now includes more chocolate and cinnamon. This aroma makes the house smell so luscious that you cannot resist in grabbing another bite of delightful baked goodies. 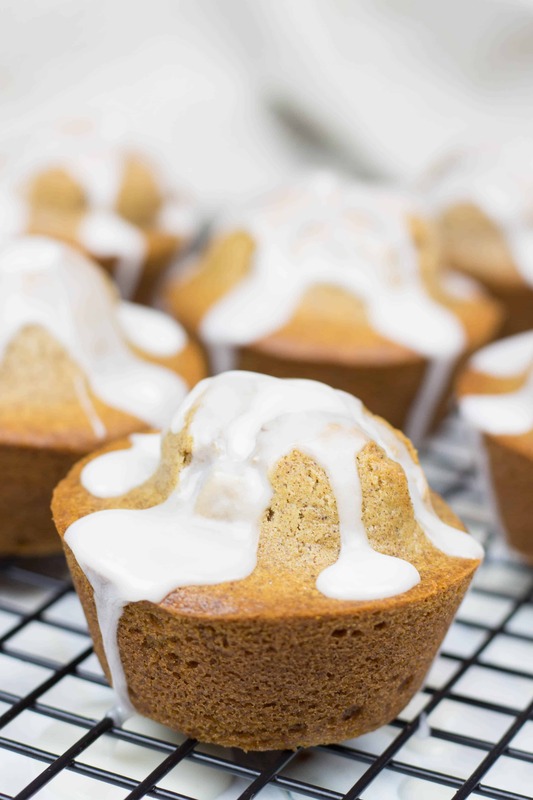 Talking about cinnamon, I just baked these amazing Cinnamon Muffins with Glaze that are so easy to make! All you need is about 10 minutes to mix the ingredients and about 20 minutes to bake. By the time your freshly brewed coffee is ready, your house will have a delightful waft of cinnamon and coffee in the air! 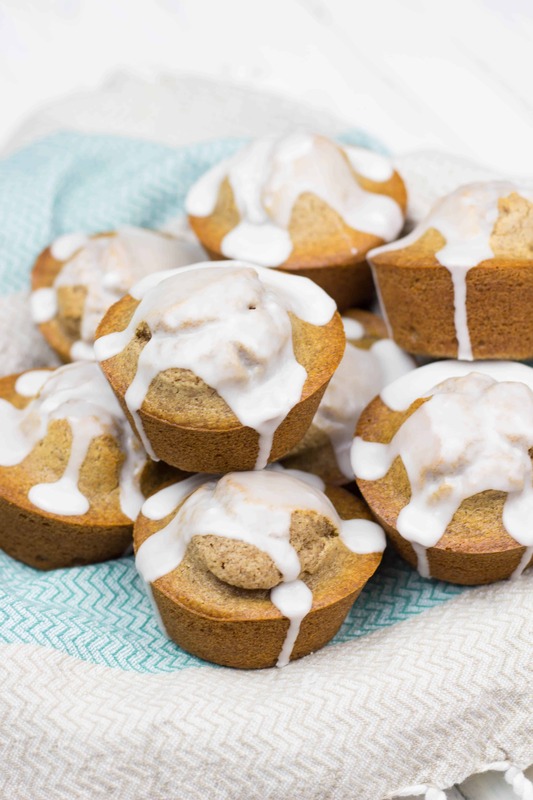 These Cinnamon Muffins with Glaze will be a great breakfast idea, to-go snack, or a perfect holiday dessert for cold nights. For this recipe, I am making 9 standard size muffins, though you can easily divide the batter between 12 muffin tins and make them smaller. Just remember that you will need less time to bake them, about 15 minutes. Also, I would recommend that you include the glaze. I think it gives that additional touch to these mini cakes. Preheat your oven to 350°F and spray a muffin tin with non-stick cooking spray and set it aside. In a medium size mixing bowl mix together all-purpose flour, baking powder, baking soda, salt, and cinnamon. Set aside. In a large mixing bowl cream together softened butter and granulated sugar (you can use a mixer or a whisk). Add eggs, sour cream, milk, and vanilla extract, whisking constantly in between. Add dry ingredients into the mixture. Using a spatula, fold it together until smooth. Do not over mix. Divide this batter between 9 muffin liners. Bake at 350°F for 18-20 minutes or until a toothpick comes out clean. When it is ready, take it out and set aside to cool off for about 10 minutes. Place the muffins on a wire rack. When the muffins are cooled off, mix the glaze ingredients until the right consistency and drizzle it over the muffins. Enjoy! 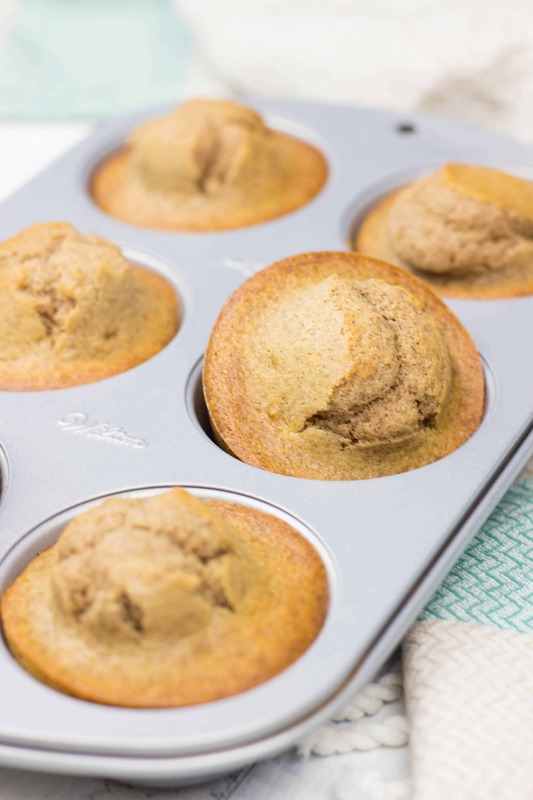 Love this cinnamon muffins, cinnamon , nutmeg and pumpkin spice always gives me felling of holidays and fall baking. 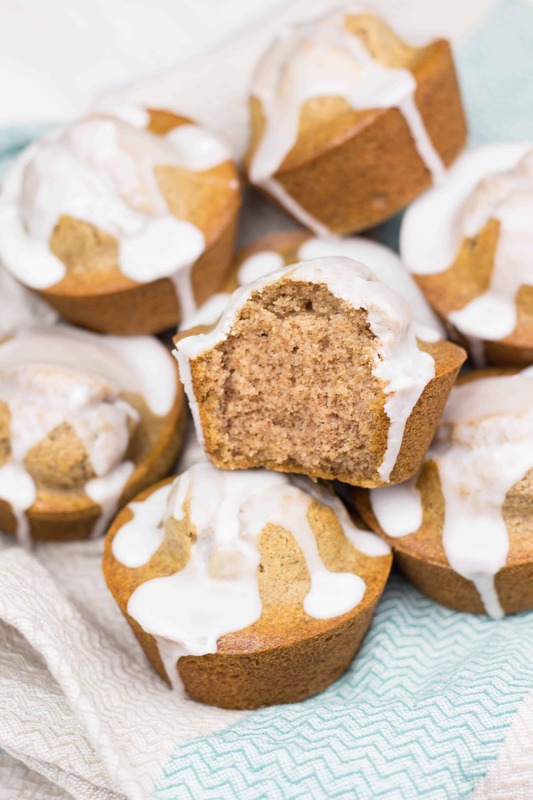 Your cinnamon muffins with simple glaze so yum. There’s something about the smell of cinnamon that screams “holidays” for me. I absolutely love it! These will be perfect for snacking on Thanksgiving morning while working up an appetite for the big dinner! I’m making mine in mini muffin tins, so they’re bite sized. Muffins make a great breakfast or afternoon snack. I also love them to satisfy my sweet tooth after dinner. Love the glaze! These muffins look delightful! What a delicious morning treat…also perfect for the holidays! Now isn’t this the perfect breakfast muffin. Also great with my afternoon latte too. The house would smell amazing while these bake.